Click the picture to see larger images. 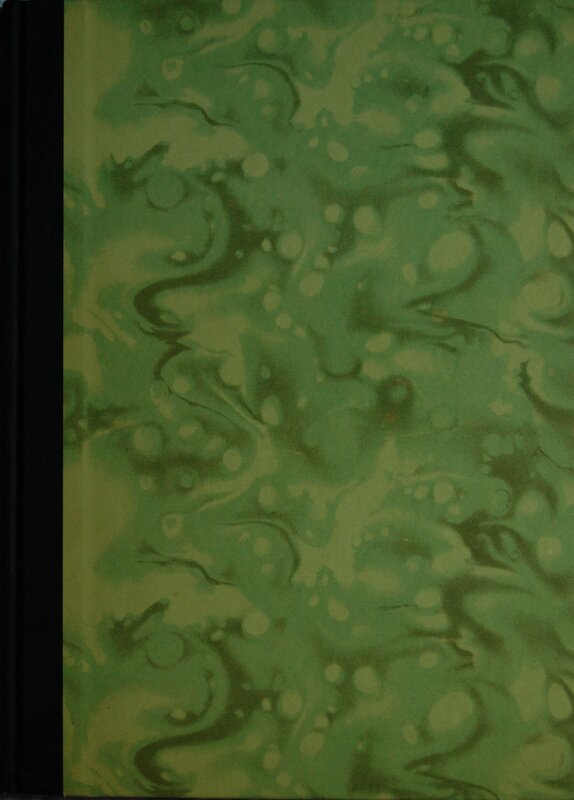 Front Binding – Twenty years following its LEC release, the Heritage Press reprinted Thomas De Quincey’s most well-known work, the autobiographical Confessions of an English Opium-Eater. I have read this particular edition, and it’s pretty interesting stuff. De Quincey’s tone through most of the book is delightfully dark, save the chapter on the pleasure of opium, which is a drastic switch into euphoria that makes it stand out. Didn’t like this side of his personality as much as the rest of the book, but it’s a good read. What’s really nice about this book is that it was the first of two commissions of Zhenya Gay for the George Macy Company, and my god, her work continues to impress. Her later spin on Oscar Wilde’s The Ballad of Reading Gaol is splendid, too, but I think there’s some art in here that exceeds most anything else I’ve seen in the LEC and Heritage lineup. 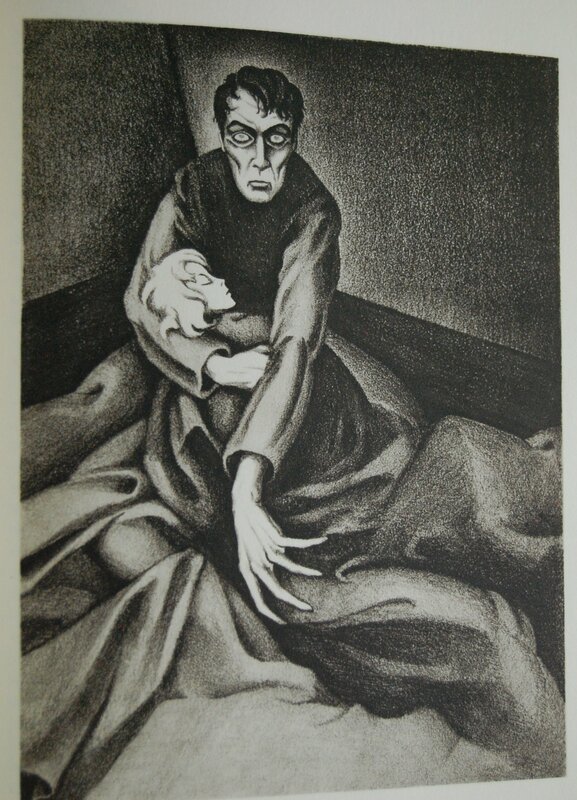 Exceptional lithographic work. De Quincey only saw this of his literary canon as a LEC/Heritage edition, and Gay only had two books to her credit, so this is an awfully short introduction. It gets worse when I say I have no Sandglass, so I’ll have to keep its production credits in the dark for now. 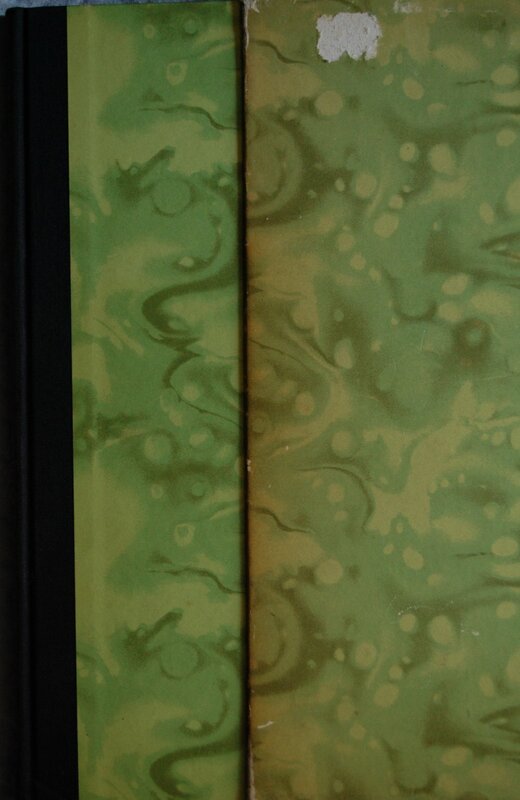 The boards have this funky green bubbly effect to them that is quite appropriate to the material, methinks. Title Page – William Bolitho adds some introductory comments to De Quincey’s text. This is a lovely, lovely book all the way through, with wonderful design and the aforementioned stunners from Gay. Page 2 – Wonderful use of black and white differentiation. 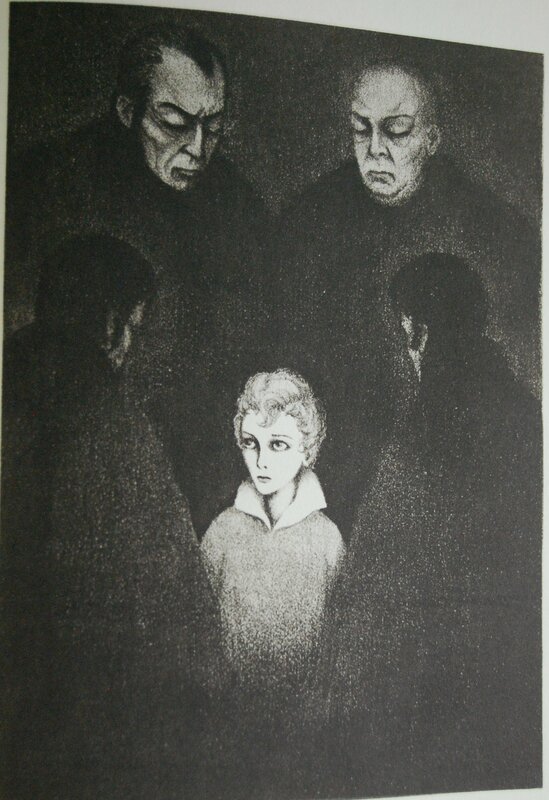 Page 18 – Now this is what I call the perfect illustration. I would frame this and put it in my library. Intensity that is mostly unrivaled in any medium in my opinion. Personal Notes – I got this at Bookbuyers’ in Monterey as part of a massive trade-in. I would adore owning the LEC. If you like what you see, fellow LEC collector busywine has a post at his blog, Books and Vines, on the LEC of this work, loaded with images, and does some comparisons to the Heritage, too. If you have the Sandglass, I’d love to add that information to the post. Please drop me a line in the comments here or through my thread at Librarything. Thanks! Appreciate the offer, but I don’t provide my e-mail through the blog here. If you join the Librarything George Macy Devotees, though, and wish to share it with all of the group, then that would be great. Thanks! 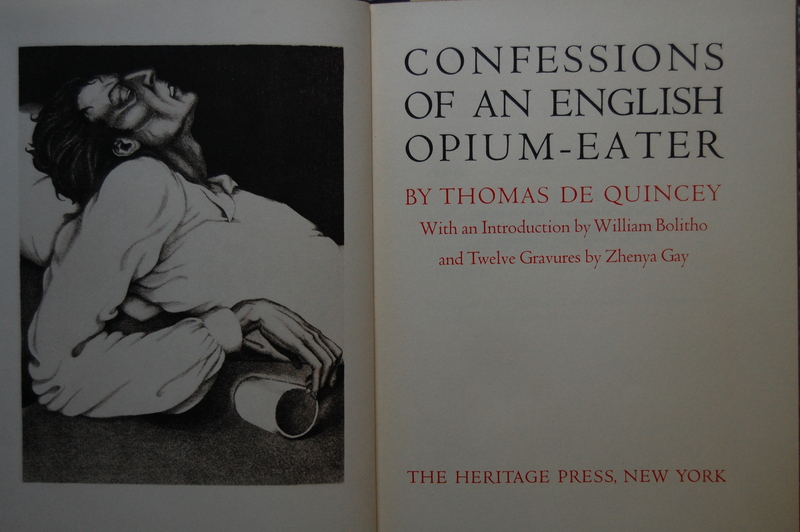 You are currently reading Heritage Press – Confessions of an English Opium-Eater by Thomas De Quincey (1950) at The George Macy Imagery.